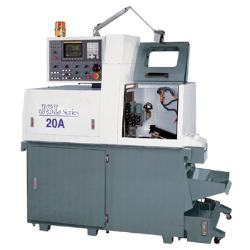 A highly reputed manufacturer of CNC lathes, CNC machining centers and special purpose machines. 2.With guide bush holder and long parts catcher, it can make long and complicated components. 3.Four axes simultaneously movement (X/Y/Z/C). 4.Main spindle cross drilling, milling function.